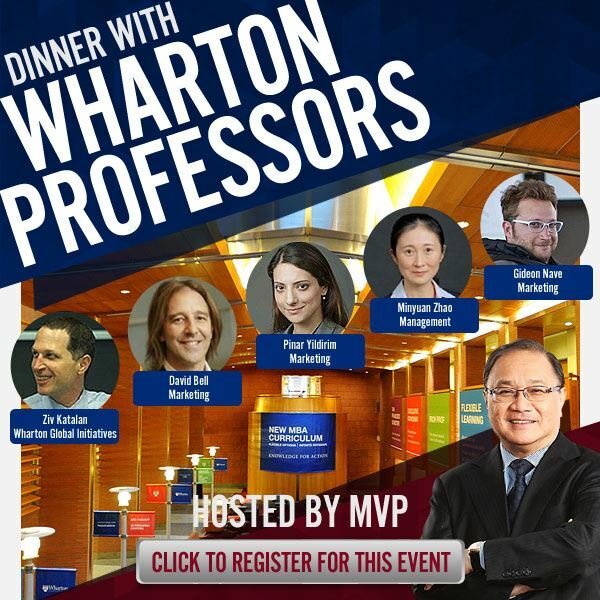 Join us for a dinner with Visiting Wharton Professors Hosted by (WG '68) Manny V. Pangilinan. From July 25 - August 2, 2016, seven Wharton professors will be flying to Vietnam and the Philippines on a Faculty Seminar to learn about emerging market(Learning Trek). They will be meeting with key corporate leaders, all of whom connected with the Wharton Penn Alumni Association. This dinner wraps up their week-long trip to the Philippines. In true Wharton spirit of Knowledge for Action, come and hear about their latest research in marketing, management and strategy and learn how it can be applied to your organizations.